Start the day off with a waterproof sunscreen on the face and stay away from foundations and powders that will just wash right off. If you suffer from dark under eye circles, grab Lancôme’s Effacernes Waterproof Protective Under Eye Concealer for a fast fix to brighten eyes. You can also spot conceal any areas of redness like around the nose or chin with a concealer for the face like Maybelline’s Waterproof Cover Stick. Line the upper lash line with Sally Hansen Natural Beauty Inspired By Carmindy Forever Stay Eyeliner Pencil to define eyes and make the lash line appear thicker. Choose colors like Blue Indigo or Jade for a bright summer look. Finish eyes with Maybelline Great Lash Waterproof Mascara for fun, flirty lashes that stay thick and lush even after swimming a few laps. Stains on cheeks and lips will beat the heat and also can’t be touched by water, so stain away for a sunny look. 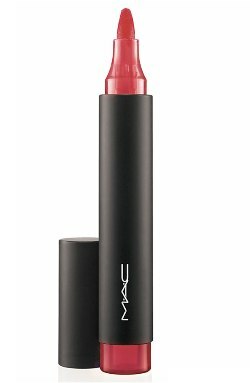 Rub a little Benefit Benetint on the apples of the cheeks and fill in lips with the Mac Pro Longwear Lipstain Marker in Tomorrow’s Coral for the perfect summer hue. Then, splash away and be confident that your makeup will look as fresh as the moment you first applied.